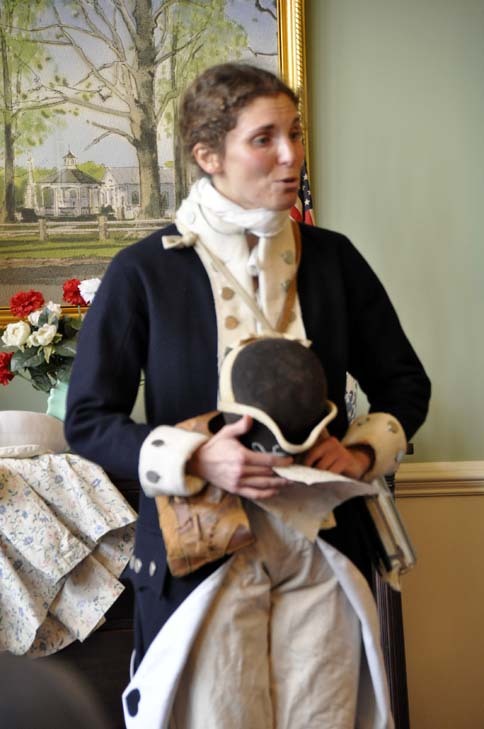 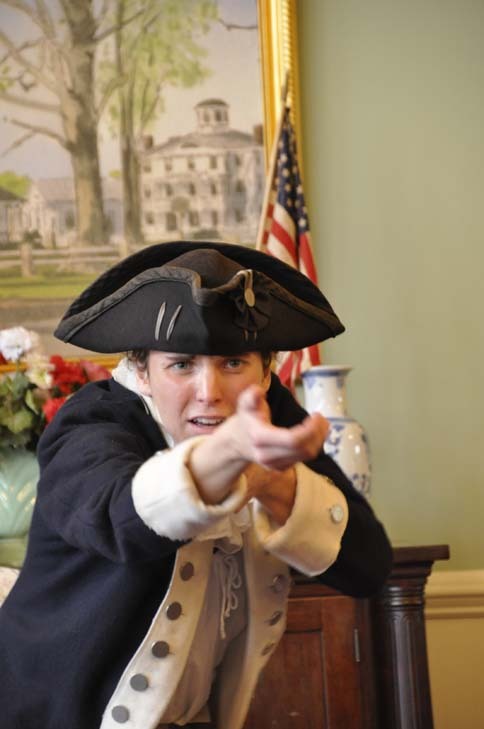 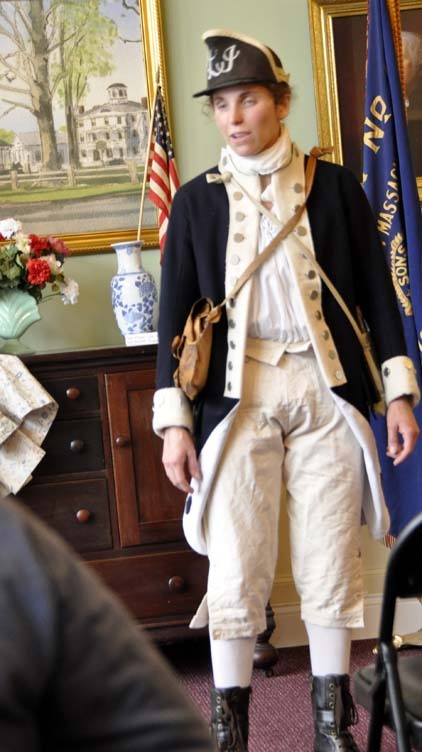 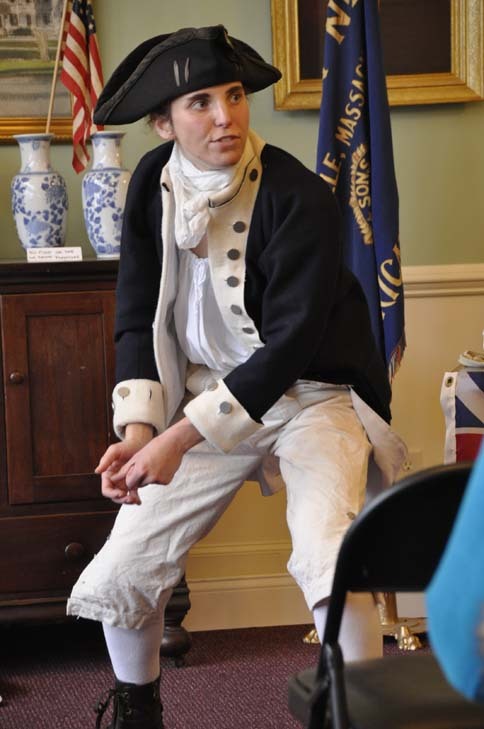 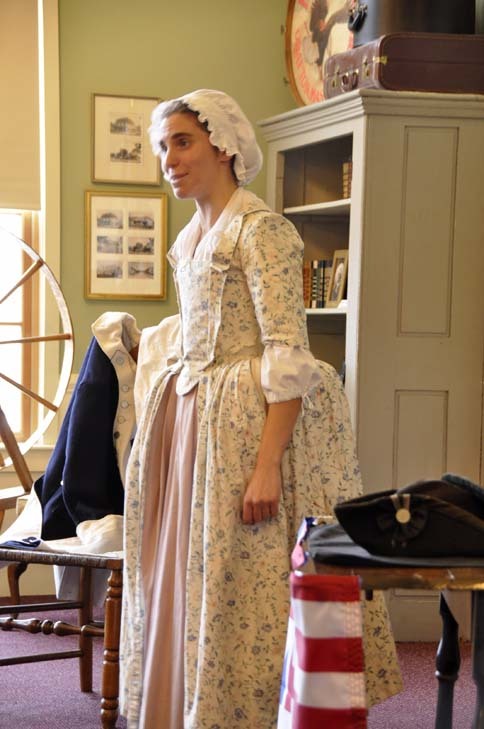 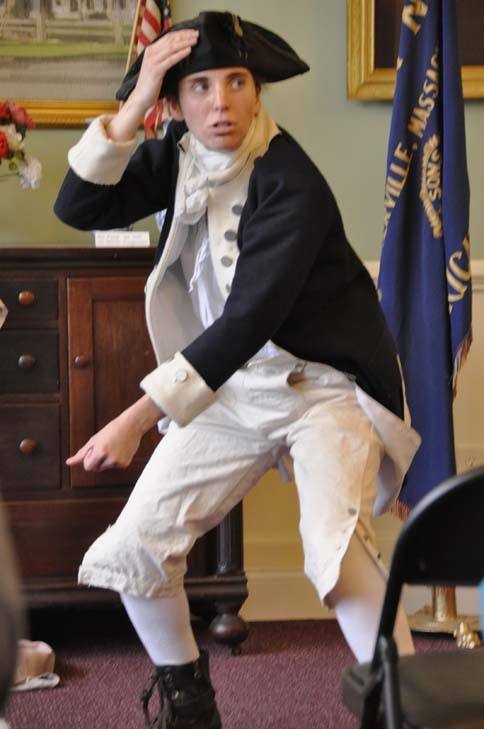 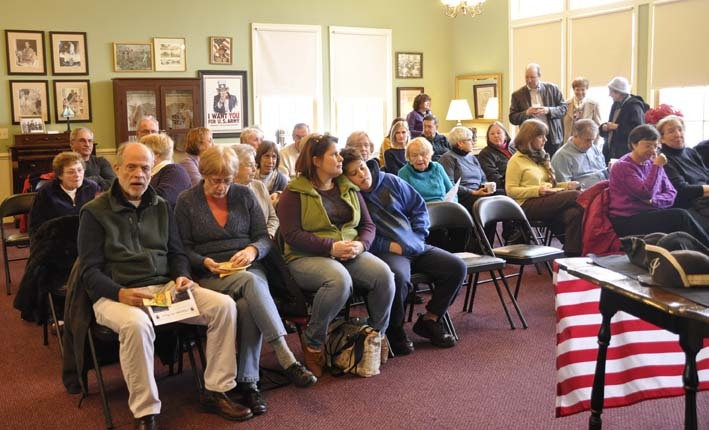 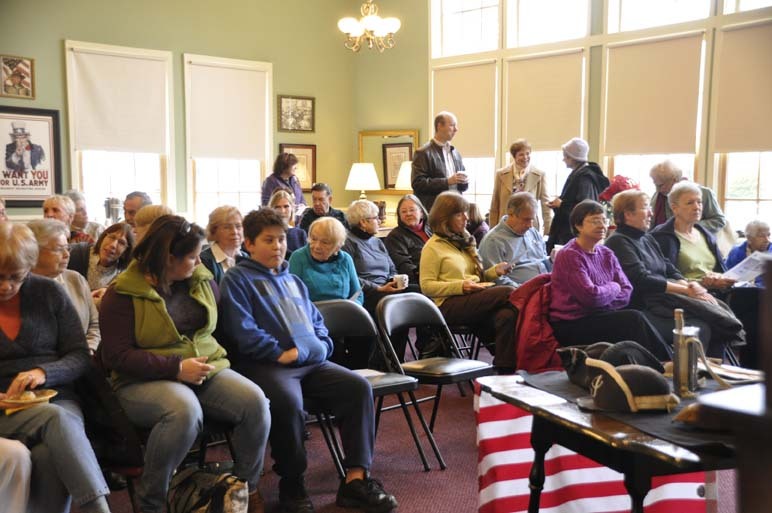 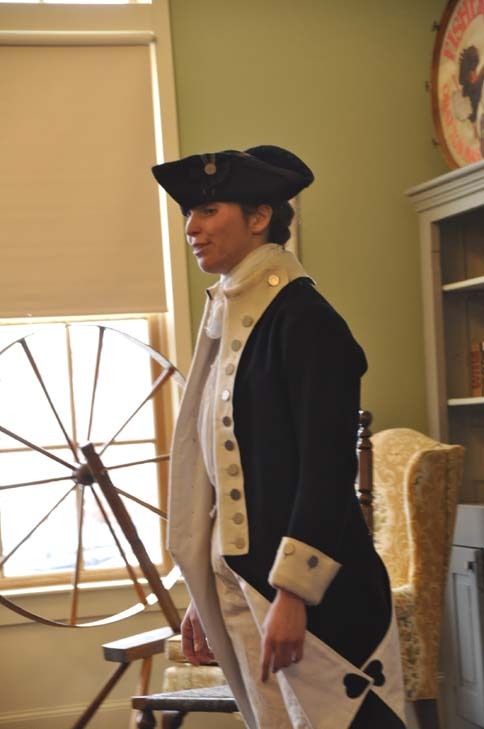 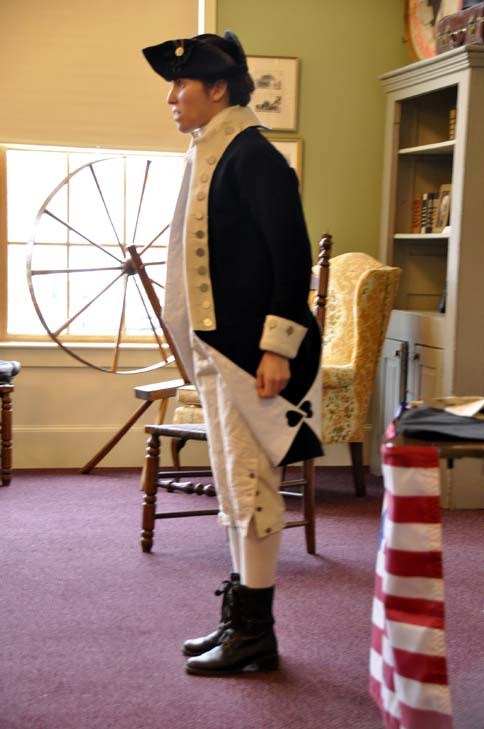 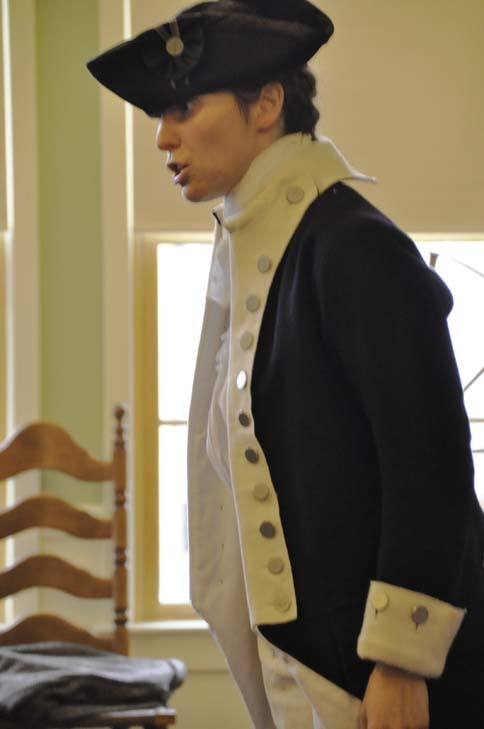 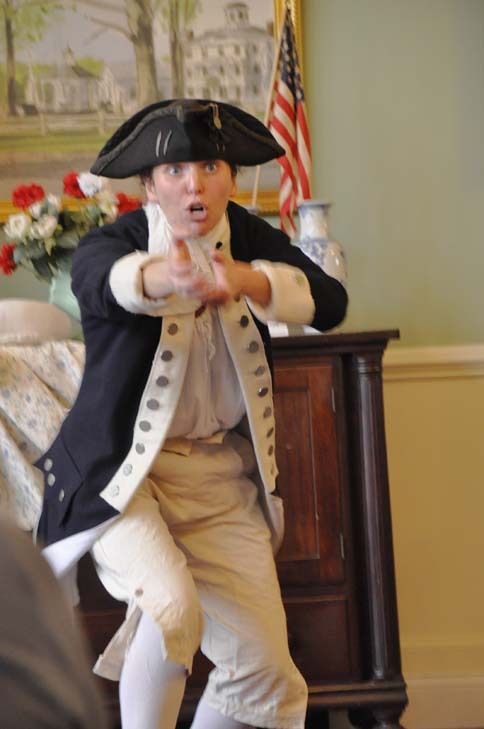 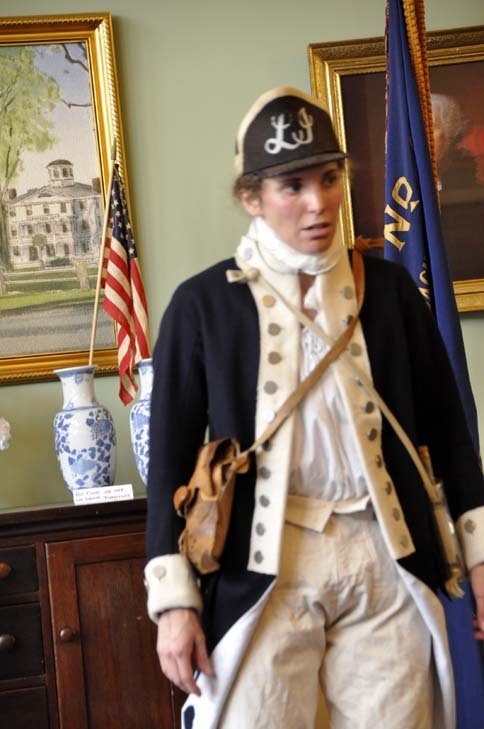 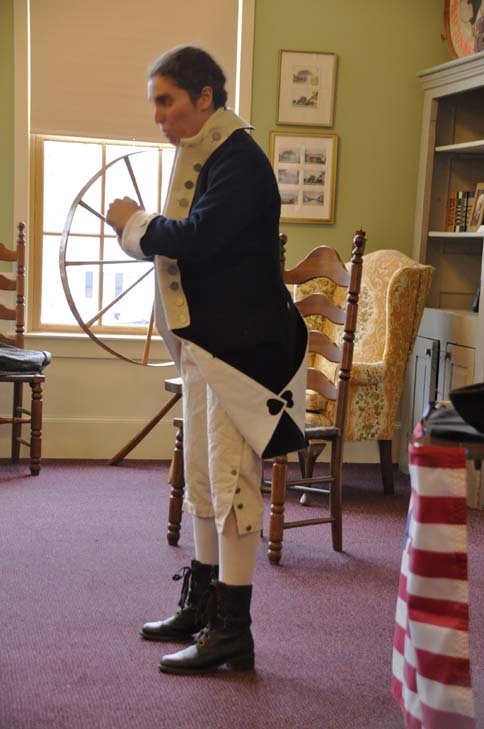 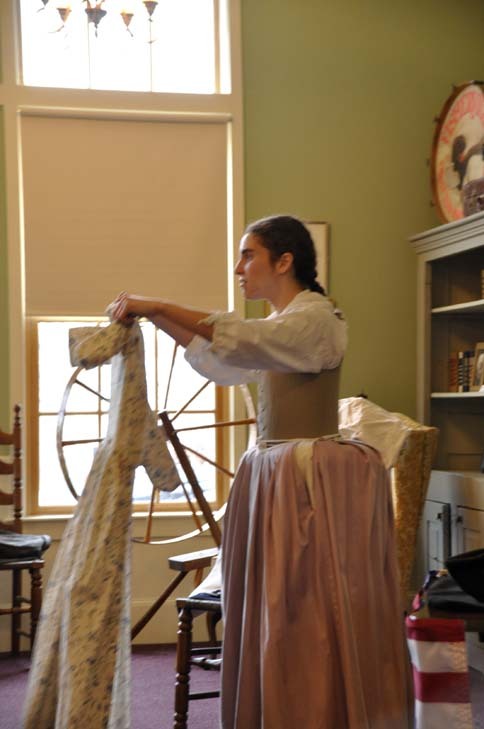 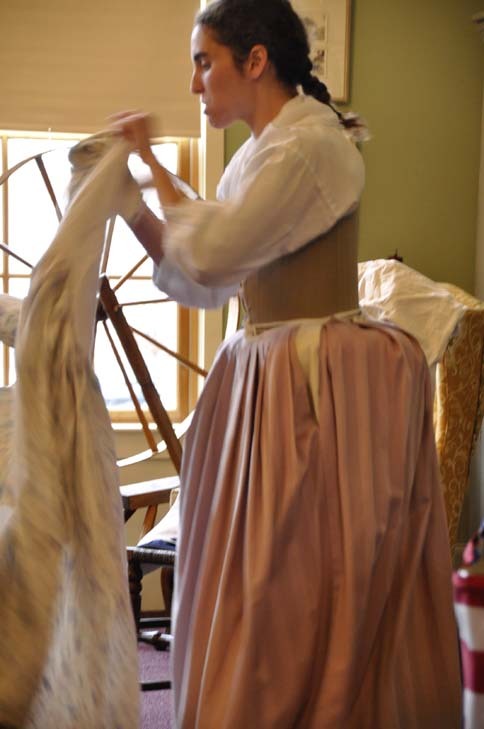 Actress and historical interpreter Judith Kalaora of History at Play brought Deborah Sampson to life for a packed house at the South Grafton Community House. 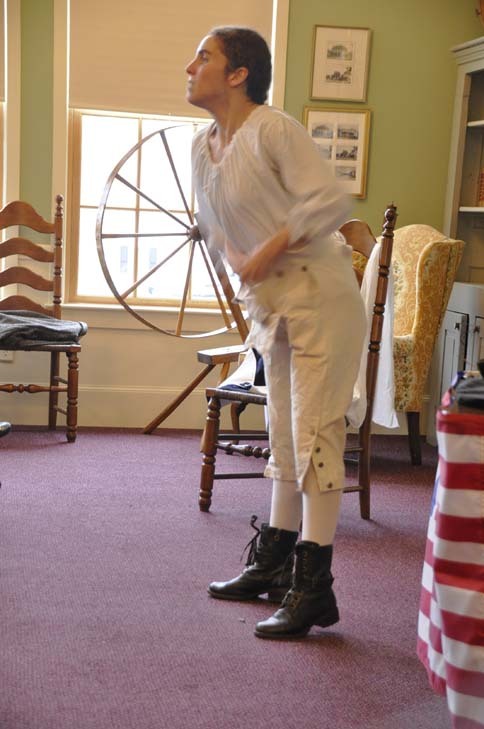 She used an engaging first-person narrative of the life of Deborah Sampson and with live costume changes woven into the performance, completed Sampson’s transformation into Robert Shurtlieff, soldier in the Continental Army – and back again. 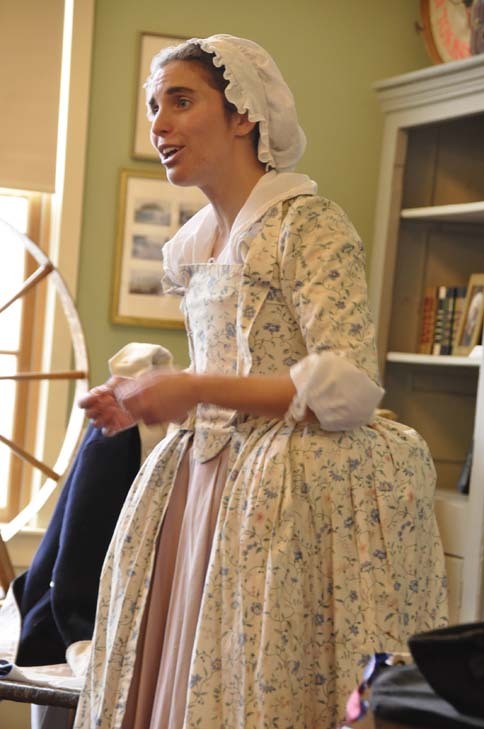 After the performance, Kalaora answered numerous questions about Sampson’s life, including several on how she was able to convert back into being a woman in public life after the war and attract future husband Benjamin Gannett.